We can not install it from Google Play. The application is not designed for tablets, and therefore will not be found on Google Play if you're looking for from a tablet. It's logical and normal that should not create any mystery. However, any Android device is able to install and execute files. Apk that are not corrupt. WhatsApp Messenger continues to be an application that you can install in our, in this case, Android tablet. Let's see how. The first step will allow the installation of applications from unknown origins . Since we will not perform an installation from the app store, we must configure the device to allow us to install from outside. To do this, we went to Settings> Security> Unknown sources ,and make sure to check the box. Indicate what you tell us, we uphold. Then we went to download the application, something we can not do from Google Play . Nor do we have to go to other stores to find the app alternatives. Simply just go to the appropriate section of their own official website. In this case, you must enter the Navigator Internet and enter in the navigation bar at the following address: " http://whatsapp.com/android "(without quotes). We find a download screen, with a big green button in the middle that says Download Now . It does not take much knowledge of English, right? Then hit the green button and the download will start automatically. 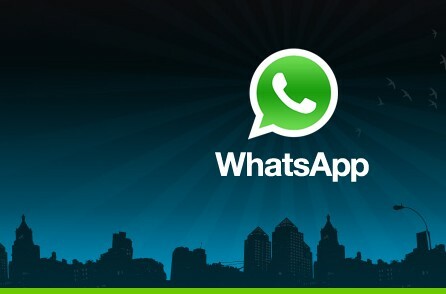 After the download process, open the notification bar, and click on the on the download WhatsApp . Installation will begin, and we will have WhatsApp Messenger on our tablet. We just have to start it, enter all the configuration data our phone number, and start using it. Recall that can only be used in one device at a time. So if we want to use on another device, we will log in this, and we will have to activate it later. If for some reason after downloading the app, the notification did not appear in the notification bar, just have to find the app downloads (or Downloads ), where we show all downloaded files. If your mobile phone has none of these applications have to download a file browser and look for the Downloads folder in the root of our internal memory or SD card.